Each time I interact with, predominantly FIFO dads, whether on site, via email or in our funded workshops, it becomes more and more apparent that there is a need for employees to learn different ways to better connect with their family while on site. I see so many men open up about how they feel when their kids don’t want to talk on the phone, something that tends not to be addressed and a common breeding ground for guilt. I would say that half of the emails I receive from at home Mother’s are in relation to the concerns they have about their partner’s attitude towards parenting. As Men don’t tend to talk about their parenting skills, an alarming amount of Dad feels as though they are either failing their children. Many FIFO Dad’s don’t understand why their child does not want to talk to them on the phone while they are away and internalise that as having not been there – when in reality it’s quite simple – the lack of visual stimuli when on the phone makes it very hard for a child to connect and almost buy bactrim ds online impossible to keep their attention. 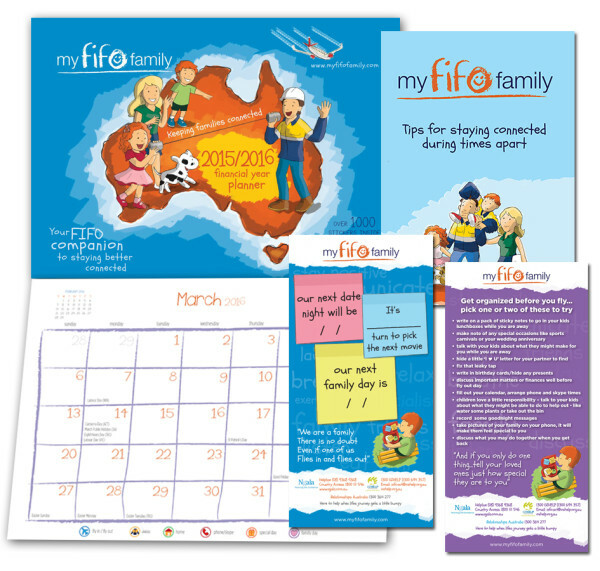 My Fifo Family provides all the tips and tools that parents can actually take away and implement and help them “Stay Connected”. Each year it amazes me how practical tips such as; encouraging fifo workers to write a few post it notes for their child’s lunch box, having their little ones save up the recycling boxes so that they can build something when they return for R&R, leaving recorded messages for newborns to assist in voice recognition, to planning ahead and rescheduling events such as birthday parties so that they can be involved in special events, empowers the fifo parents and allows them to feel as though they are contributing on more than just a financial sense to their family. This year My Fifo Family has decided to give employers the opportunity to purchase our “Stay Connected” employee packs mid-year with a July – June 215/16 calendar. Buying mid-year means that we can pass on a 10% discount off our prices due to reduced transport fees and still maintain our donation policy to the following organisations: OzHelp, Ngala and the Aboriginal Literacy Foundation.